We’ve had a number of great EP releases throughout 2015 already and sometimes it’s nice to see a new one come along which you can give a great big hug and take under your wing. 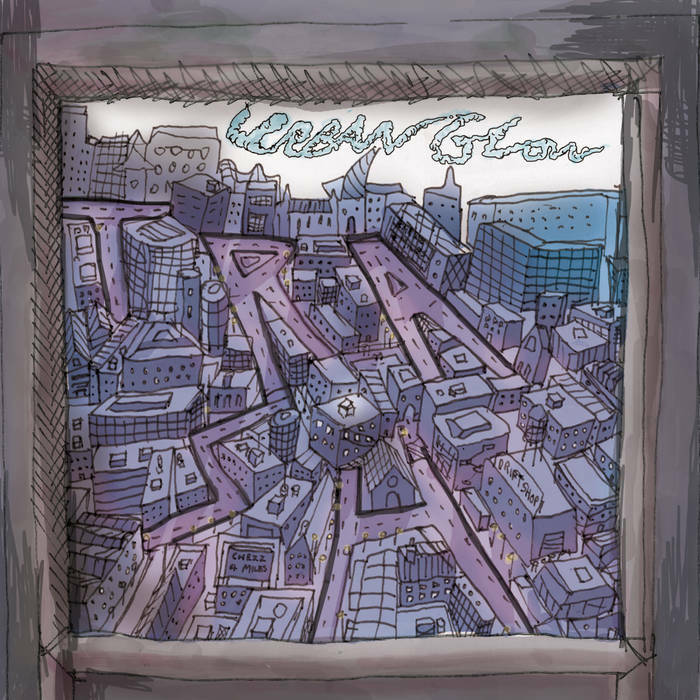 Urban Glow is the new EP from the newest addition to the Clue Records family TRASH and sometime ago we sincerely enjoyed the sounds of their track 4 Miles. The track had a wonderfully dear quality to it that allowed me to justify the dark circles under my eyes and it’s dream-poppy instrumental made for some nice dozing. Like a very soft bosom. Man, I miss bosoms. TRASH deliver some more of the same as 4 Miles acts as the first full length track after the quick sweeping build-up of Intro gets us all prepared for some nice pieces of pop. One thing that was made clear from the single was the band’s ability to chuck all kinds of accessible material into their sounds and fortunately this trait continues throughout Urban Glow. Drift sets off on a sweet little ride along an ocean of jangly melodies with warm basslines acting as some kind of raft. Me as the wandering traveller feels very satisfied to have this track soundtrack my journey as TRASH allow it to meander and slip its way through the airwaves in a pace that’s perfect and a tone that makes me wanna cuddle up with them forever. It’s awesome. The title track washes over you with lush atmospheres formed via hazy guitar chords and a slight smattering of drums which TRASH use as a nice little canvas for more dabbling melodies and catchy interludes. Things get surprisingly funky as the drums deliver some solid grooves halfway through this track before breaking the banks and letting all that wonderful melodic water just flood right out again. Sad Boys (All I Wanna Do) closes things out with a slower paced, more emotive way to say goodbye. TRASH perform an instrumental that’s made up of slightly cleaner guitar chords and a rhythm section that creates something straight out of Pavement’s book but immediately modernises it with a swift injection of pace that is very much welcome. It’s a nice way to say goodbye. Kinda like those goodbyes that you don’t want to happen but you do because it means being able to hug the person you’ve wanted to hug forever. Urban Glow is a fantastic EP and well, I just wanna hug TRASH forever. For more music reviews, free downloads and hugs check out Exploding Head Syndrome on Facebook and Twitter.